Yellow Watermelon Juice. 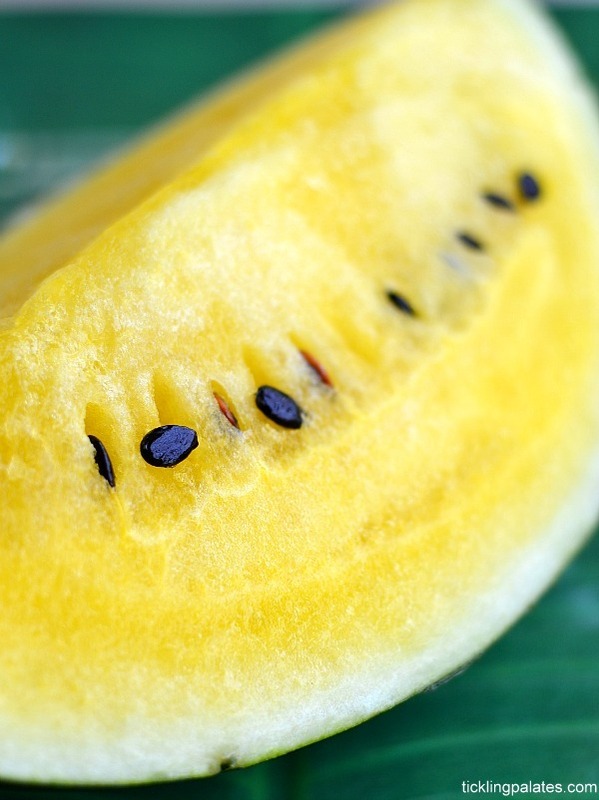 Yellow watermelon are also called as Sun Melon at shops if you are wondering what they are. I love watermelon to bits. With 99% of watermelon being water, what’s not to like about the fruit during summers when our thirst increases due to the high humidity. Though I do already have a watermelon juice in the blog already, I have never got to taste this yellow watermelon before and I decided to juice this beautiful looking fruit and blog about it as well. I never used to get yellow watermelons earlier and now they have started hitting the shops though belatedly. Though taste wise I did not find any drastic difference, the color was really beautiful. Those little black seeds look very eye catching in contrast to the yellow of the fruit. I always refrigerate the fruits before juicing them, as I can avoid adding ice cubes to the juice later which will only thin out any juice. I mostly make any fruit juice whatever I’m making for the day in the morning itself and refrigerate them. So when the sun hits the peak by mid day, your drink is waiting for you perfectly chilled to cool off. I don’t even fill the ice trays anymore waiting for the ice cubes to get ready as I’ve prefer thick juices. You can check out other recipes that will be apt for summer like watermelon agua fresca, watermelon gazpacho, watermelon slushies, lychee sparkler, mango jaljeera, strawberry lemonade and lemon basil mojito. 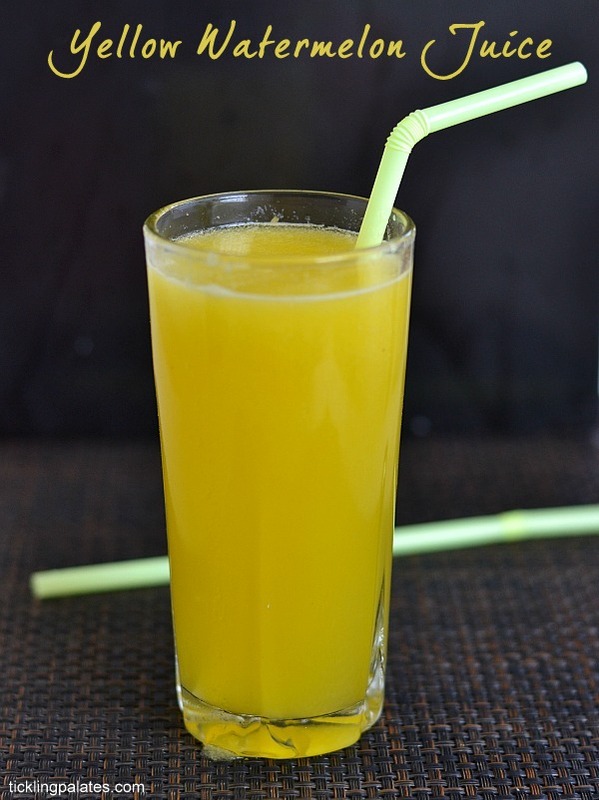 yellow watermelon juice recipe that's so perfect for the summers. Cube the watermelon after removing the seeds. I refrigerated them in the freeze for 20 mins. Transfer the cubes to a blender and add sugar or honey, salt and blend well. Remove the jar and stir in lemon juice. Pour the yellow watermelon juice into tall glass and serve immediately. Beautiful clicks and refreshing juice.